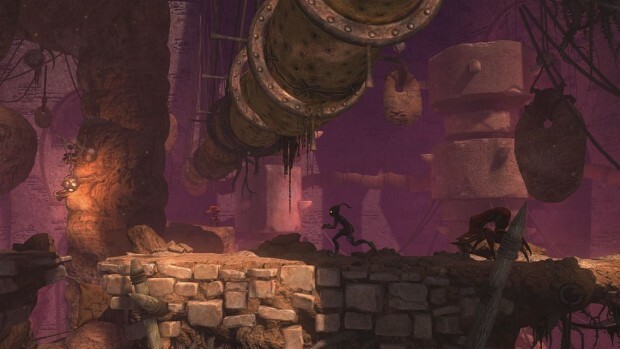 Oddworld: New ‘n’ Tasty was developed by Just Add Water and published by Oddworld Inhabitants. It was released on March 27, 2015 for $19.99. A copy was provided for review purposes. It’s a funny thing, nostalgia. Only last week I was preparing to write my review of the excellent Shiftlings and likening it to the original PlayStation One Abe’s Oddysee and now, here I am, reviewing the actual remake of that very same game. Unbelievably, the existence and imminent release of Oddworld: New ‘n’ Tasty had completely bypassed me up until last week, so it’s been especially satisfying to experience it alongside a modern peer. 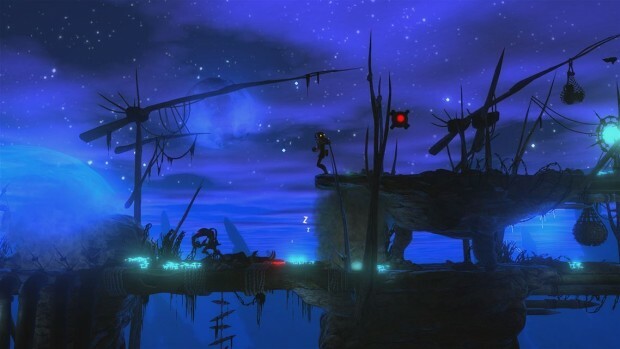 The good news is that because New ‘n’ Tasty is a ground-up remake of the 1997 PlayStation original, it looks absolutely fantastic running on next gen hardware. More importantly, it retains the clumsy, deliberate weight that epitomises the games titular character, Abe, and adds so much to the way that the game plays. People often say that you should be careful what you wish for, so let’s find out if New ‘n’ Tasty lives up to both the expectation set by the original, and the demands of an increasingly picky modern audience. Something to chew on – New ‘n’ Tasty begins in a meat processing plant and focusses on a single Mudokan creature named Abe. Abe is content to live out his life in pseudo-slavery as one of many cleaners at the plant, until one evening he makes a gruesome discovery and decides that it’s time for change. What follows is a challenging quest to both rescue as many fellow Mudokan’s as possible and to make good on your escape. Abe’s challenges are many and varied, from basic switch and weight pad puzzles, to lengthy and extremely tough running and jumping sections across a range of deadly hazards. I don’t remember Abe’s Oddysee being gruesome, but it was certainly funny. 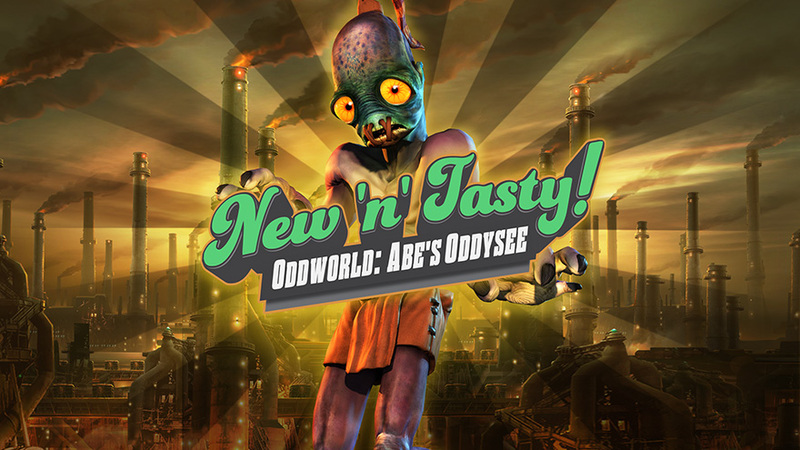 ThankfullyÂ New ‘n’ Tasty is both making it rarely frustrating watching Abe being ground into pieces by machinery or blown apart by mines thanks to the ever present humour. 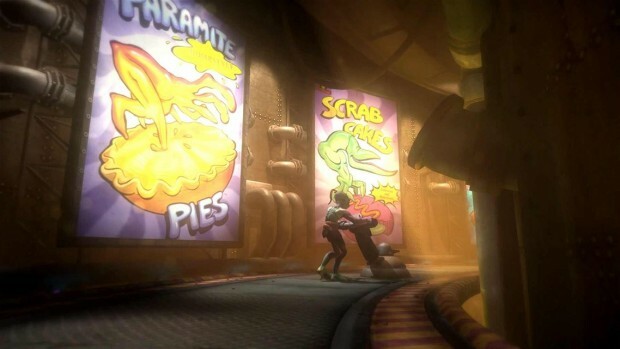 Appetising Looks – the original Oddworld games were known as perhaps two of the most unique and original games on the PlayStation, and it’s fitting that New ‘n’ Tasty looks just as good by modern standards on the Xbox One. This is essentially a two-dimensional platform puzzler, rendered using three-dimensional models against a beautifully drawn, delicately lit and supremely varied set of environments. Characters move just how it appears that they should, lending everything in New ‘n’ Tasty a tactile feel that adds to the challenge because of just how physically incompetent our hero, Abe, actually is. Tough to swallow – It’s surprising that a game this funny, gruesome and frankly good might also have some kind of important social message, but I have a feeling that the makers might just be trying to tell us something. Although they don’t look like us (at all) the bad guys in New ‘n’ Tasty certainly have a human-like tendency to exploit every living thing in their immediate vicinity, driving one creature after another to extinction for the pursuit of profit-in-pies. It’s hardly a unique message, but I’ll never criticise a game for reminding us to be mindful about the all-consuming nature of man, especially not when it’s also so integral to such an enjoyable game. A bitter taste – I like New ‘n’ Tasty a lot and there really is very little to criticise, but I can pinpoint a small collection of minor issues which come together as a sort of frustration/challenge mash up that’s hard to separate out – a bit like the contents of the pies made at Rupture Farms I imagine. Firstly, this is a tough game with some hard puzzles and some even harder platforming sections. Neither is helped by the deliberately clunky movement that Abe demonstrates – this is deliberate because Abe isn’t exactly a typical hero, but it might still frustrate those used to more responsive character movement. So, nostalgia. I said before that it’s a funny thing and it is, it can make sensible people make bad decisions and it can hide a variety of sins, but I don’t think I’m flattering New ‘n’ Tasty by saying that it really is an excellent and entirely relevant remake of a classic game. 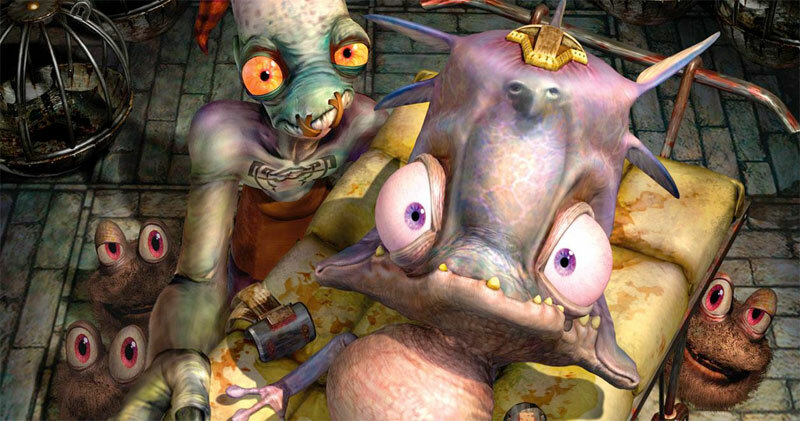 There’s no doubt that some people will be put off by the somewhat clunky controls or the genre in general, but for anyone who takes offence at those things, I expect there are ten more waiting to praise the charming, richly detailed adventure that Abe and the Oddworld Inhabitants have in store for us.